So today I exchanged Christmas gifts , with my good friend Temperance Seerose from http://vanitytcircus.blogspot.com/. As long as I've known her, she has always had great style and apparently she has a good idea of getting me a gift. She gave me this necklace from Mandala, and I love it. 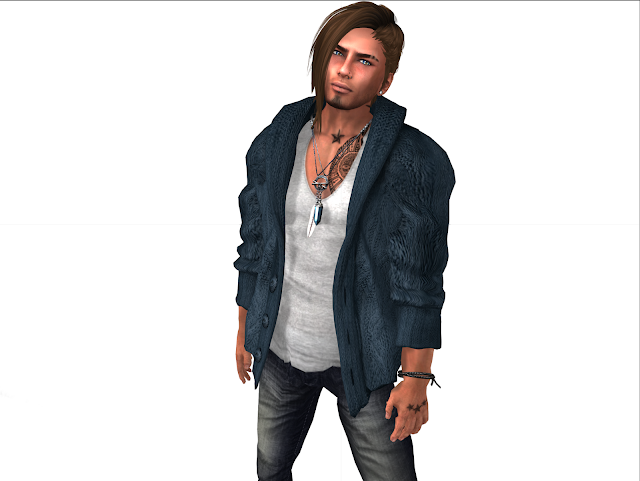 It gave me an idea to match it with this great mesh cardigan from Mr. Poet. Its even better, considering its free to purchase.